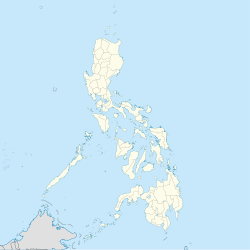 Alicia, officially the Municipality of Alicia, (formerly known as Angadanan Viejo) is a 1st class municipality in the province of Isabela, Philippines. According to the 2015 census, it has a population of 71,504 people. The municipality is located in an area of predominantly flat and fertile land in the Cagayan Valley that surrounded by the Caraballo Mountains to the south, the Great Sierra Madre to the east and the Cordillera Mountain Range to the west. It is the largest rice producer in the entire Cagayan Valley and has the largest irrigated rice field in the whole Region II of the Philippines. Alicia, the old town of Angadanan, is known for the Pagay Festival and its famous historical landmark, the Our Lady of Atocha Church completed and inaugurated in 1849 which was officially declared by the Philippine Department of Tourism as a national religious tourist destination in the Philippines. Alicia has a total land area of 15, 410 hectares and 64, 339 total population as of 2009. 71% of the total land area is an agricultural land which makes Alicia primarily an agricultural municipality best suited for the intensive production of rice and corn. Farming is its major livelihood and rice its major product and resource. Alicia was once called "Angadanan Viejo" (which means "Old Angadanan") when the new Angadanan was relocated in 1776 to its current location near the Angadanan Creek. The old Angadanan town was part of the Cagayan Valley province. The entire Cagayan Valley was one large province which the Spaniards called La Provincia del Valle de Cagayan, but divided into two new provinces in 1839 by the Spanish conquistadors. One retained the old name Cagayan which comprised all towns from Aparri to Tumauini; while a new province of Nueva Vizcaya was created composed of all towns from Ilagan City to the Caraballo del Sur including Catalangan, Angadanan (now Alicia), and Palanan, with Camarag (Echague) as its capital. A Royal Decree was created on 1 May 1856 creating Isabela de Luzon to distinguish it from other Isabelas in the Philippines. It comprised the town of Carig (now Santiago City), Camarag (now Echague), Angadanan (now Alicia), Cauayan, Calanusian (now Reina Mercedes), Gamu, and Ilagan City, all detached from Nueva Vizcaya; while Tumauini and Cabagan were taken from the Cagayan province. It was placed under the jurisdiction of a governor with the capital seat at Ilagan City, where it remains at the present. When then Philippine President Elpidio Quirino signed Executive Order No. 268 on 28 September 1949, the Old Angadanan was renamed and created the municipality of Alicia in honor of then Quirino's wife, Dona Alicia Syquia Quirino, who was murdered by the Japanese during the Japanese occupation. In the 2015 census, the population of Alicia, Isabela, was 71,504 people, with a density of 460 inhabitants per square kilometre or 1,200 inhabitants per square mile. The population is a combination of different ethnic group dominated by Ilocano speaking people which make Ilocano the common language used in the municipality. Alicia, as a suburb of a progressive city, Cauayan, Isabela, is also showing signs of progress. Various banking institutions like Landbank of the Philippines, Security Bank, etc. are already present in Alicia. In 2013, popular fast food chain Jollibee has opened its first branch in Alicia which includes Drive Thru service. The Our Lady of Atocha Church in Alicia is known for having an old Spanish church architecture. It is one of the best churches to visit for a pilgrimage in the Philippines during the Holy Week. The church was declared by the Philippine Department of Tourism as one of the national religious tourist attractions in the Philippines. The structure of the church was original built by the Spaniards in the 18th century, but not finished. Passing by Angadanan town on 12 February 1805, Fr. Manuel Mora, OP wrote that "Angadanan has a convent of bricks, though not totally finished. Its church is timber, wood, and bamboo. The number of inhabitants is 791." The church and convent as seen today in the town of Alicia, beautiful and antique, was built by Fr. Tomas Calderon, OP and inaugurated in 1849, with Fr. Francisco Gainza, OP, then vicar of Carig (now Santiago City). The church was dedicated to the Nuestra Señora de Atocha, more popularly known today as Our Lady of Atocha. The church is known for its antique Castilian architectural design and can be found along the Maharlika Highway and is accessible by land transport. The Catholic churches in Alicia, Gamu, and Cauayan City, are examples of what is called as the "Cagayan Style" of Spanish churches that was inspired by the Tuguegarao church. The first mayor (municipality leader) of Alicia was Glicerio Acosta who was appointed to office by the President of the Philippines upon the creation of Alicia as a municipality in 1949. The mayor is restricted to three consecutive terms, totaling nine years, although a mayor can be elected again after an interruption of one term. Alicia has two universities that cater to the people of the municipality and other neighboring municipalities and provinces. Alicia is also noted for having the most high-tech school in the region. ^ a b "Province: Isabela". PSGC Interactive. Quezon City, Philippines: Philippine Statistics Authority. Retrieved 12 November 2016. ^ "PSA Releases the 2012 Municipal and City Level Poverty Estimates". Quezon City, Philippines: Philippine Statistics Authority. Archived from the original on 28 January 2017. Retrieved 28 January 2017. ^ "Things to Do and see in Isabela". Archived from the original on 29 December 2007. Retrieved 19 January 2008. ^ a b c "Isabela Travel Information". Archived from the original on 3 January 2010. Retrieved 16 January 2010. ^ "Isabela History". Archived from the original on 28 August 2009. Retrieved 19 January 2008. ^ Census of Population and Housing (2010). "Region II (Cagayan Valley)". Total Population by Province, City, Municipality and Barangay. NSO. Retrieved 29 June 2016. ^ "Province of Isabela". Municipality Population Data. Local Water Utilities Administration Research Division. Retrieved 17 December 2016. ^ "Alicia, Isabela: Average Temperatures and Rainfall". World Weather Online. Retrieved 31 October 2015. ^ Martinez-Clemente, Jo (23 April 2011). "Relic of Christ's cross a must for Visita Iglesia". Inquirer.net Philippine Daily Inquirer. Archived from the original on 14 November 2012. Retrieved 17 June 2011. ^ Reyes-Estrope, Carmela (26 March 2013). "Churches to visit north of Manila". Philippine Daily Inquirer. Retrieved 18 April 2014. ^ Rumpon, Danijay. "Province of Isabela Tourists Attractions and Destinations". Cagayan Valley Region. dotregion2.com.ph. Archived from the original on 16 December 2011. Retrieved 17 June 2011. ^ "Tourists Attractions". MyPhilippines.com The Ultimate Travel Guide for Tourists. Department of Tourism (Philippines). Retrieved 17 June 2011. Wikimedia Commons has media related to Alicia, Isabela.